Just a family reminder to everyone, Ii you haven’t filed your taxes yet, don’t overlook these money-saving strategies. Time is winding down to file 2018 tax returns or request an extension. But even if you’ve procrastinated, there’s still time to take advantage of beneficial deductions and credits. 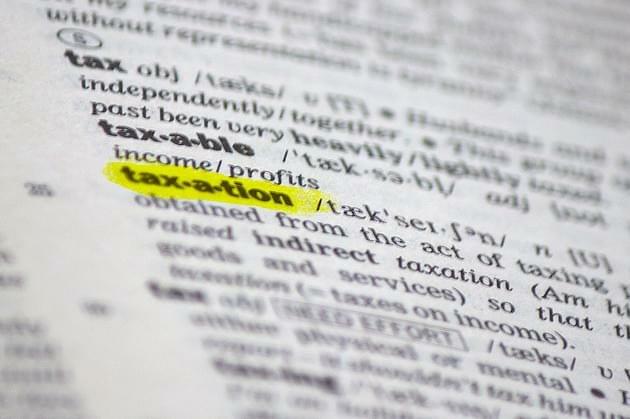 Keeping this thought in mind, U.S. News & World Report has listed seven strategies to optimize last-minute savings on your 2018 tax bill: Contribute to a health savings account, Contribute to a retirement account, Add up your child care and dependent care costs, Itemize deductions, Write off business expenses for a side hustle, Claim the qualified business income deduction, if possible, and See if you qualify for the Lifetime Learning Credit. Typically, only expenses incurred prior to the end of the calendar year can be deducted from taxes. One exception is contributions to health savings accounts. Those with eligible high-deductible health insurance policies can contribute up to $3,450 to a health savings account for the 2018 tax year if they have an individual plan, or $6,900 if they have a family plan. Those age 55 and older are eligible to make an additional $1,000 in catch-up contributions. Money can be contributed up to the tax-filing date, April 15th, and still be deducted. Deductible contributions to an IRA can also be made until April 15th. For the 2018 tax year, taxpayers can deduct up to $5,500 in contributions to a traditional IRA. Those age 50 and older can contribute $6,500. However, if you have a retirement plan at work, such as a 401(k), your deduction may be limited if you earn more than $63,000 as a single taxpayer or $101,000 as a couple filing jointly. Tax deductible contributions to a SEP IRA for 2018 can be as much as 25 percent of your compensation or $55,000, whichever is less. What’s more, if you file an extension on your return by April 15, 2019, you can make a 2018 tax deductible contribution to a SEP IRA as late as the extended deadline in October. That’s not an option with a traditional IRA. Parents can claim as much as 35 percent of their child care expenses as a tax credit each year: up to $3,000 for a single child or $6,000 for two or more children. Standard deductions nearly doubled in 2018 to $12,000 for single taxpayers and $24,000 for married couples filing jointly. However, you may still be able to itemize. Taxpayers may also be able to count expenses paid on behalf of dependents, though only medical costs in excess of 7.5 percent of adjusted gross income can be itemized. If you drive for the ride-sharing company Uber on the weekends or rent out your house on the website Airbnb, you qualify as a business owner and should be filing a Schedule C tax form. While personal deductions are itemized using a Schedule A form, business owners use a Schedule C to deduct their expenses. That may seem like extra work, but it actually opens up opportunities for additional tax deductions. One of the most lucrative tax benefits of being a small business owner is the qualified business income deduction. Among all the tax incentives available for higher education classes, the most flexible may be the $2,000 Lifetime Learning Credit. Using it, taxpayers can receive a credit for 20 percent of qualified education expenses, up to $2,000 a year. If you took continuing education or professional development courses last year, you can probably claim the credit. And unlike the American Opportunity Tax Credit, which is capped at four years of study, people are eligible for an unlimited number of Lifetime Learning credits.